Last year, I introduced a “skills lab” component into my high school Tanakh class. It was designed to improve students' Tanakh reading skills while allowing them to work individually in a style and pace appropriate for each one. I was unsatisfied with the success of the lab last year, but I was not ready to give up entirely. I applied the lessons learned from last year and completely redesigned it based on the principles of mastery learning instead of differentiated learning. I am happy to report that the risk I took in revamping the skills lab has, to this point, paid off, with exciting results. I teach a combined 9th and 10th grade girls honors Tanakh class at the Fuchs Mizrachi Stark High School in Beachwood, Ohio. Over the course of the year we will study selected chapters in Sefer Bamidbar, and then transition to studying Sefer Melachim in March. My students are passionate, sweet and authentic. They are united in their pursuit of excellence, however, their skills are extremely varied. The range of abilities within the classroom is something that I’ve encountered in all of the classes that I’ve taught at Mizrachi since I began in 2015. Last year, I initiated the Tanakh Skills Lab to address the problem. The Tanakh Skills Lab was aimed to address skills acquisition and simultaneously foster a growth mindset, and it was a great risk because it meant giving up one period a week of valuable learning time in addition to allowing for student led differentiation in that students were given the responsibility of choosing what skill they wanted to work on. While there were many positive outcomes to the project, it did not succeed to the extent I had hoped. After the project was complete, I debated scrapping the project altogether. Intense reflection over the summer helped me compartmentalize what aspects of the Tanakh Skills Lab could be salvaged and what parts needed refinement. I realized that as appealing as it is to walk away, I still had a burning desire to address skills acquisition. Enter the Tanakh Mastery Lab. Instead of abandoning the project, I decided to take yet another risk and redoubled my efforts for the second year in a row to craft a program that would be realistic, aspirational and successful. Two students in the class can comfortably read and translate the text of Tanakh, and for them, the immersive chavruta experience I incorporate into the class serves as a sufficient means for reinforcing and refining skills already honed in lower and middle school. However, most students in the class do not have comparably strong reading and translating skills. For this majority, Tanakh class has become a constant exercise in text avoidance. To their credit, they love discussing deep themes, questioning commentaries’ approaches, analyzing characters and discussing spiritual implications, yet, simply in order to have them look at the actual words of Tanakh, I need to specifically structure every assignment in a way which forces them to engage with the text itself. Even if provided with wordlists and translation exercises, most students display significant textual discomfort. Even those able to read and translate parts of pesukim have great difficulty with longer passages. A few students in the classroom even struggle to read with correct vocalization and pronunciation. Teaching such a varied group clearly demands an individualized, targeted approach to skill building and reinforcement. In order to address the diverse needs of my students, I implemented the Tanakh Mastery Skills Lab as a parallel program to the regular curriculum. The lab takes the students through a series of skills, each comprising mastery of an individual building block of Biblical Hebrew. The students in my classroom might be vaguely familiar with these grammatical elements from lower and middle school, yet they cannot recognize or apply them with any sort of confidence or consistency. My goal is to connect each skill to the chapter we are learning as a way to assist students to strengthen their ability to understand and appreciate the nuances of the text at hand in a more thoughtful manner. To begin the unit, I gave students a diagnostic assessment composed of verses to be studied in upcoming classes. It instructed students to define and identify the above grammatical components. The diagnostic thus served two functions. First, it provided a marker from which students, and I, could assess their progress. Second, it functioned as a no-pressure first attempt at grappling with the upcoming unit. I looked over this diagnostic only after the student herself graded it initially. I made a note of the result but did not record it in the gradebook; this grade in no way affected the class average. Students were then given time to practice these reading skills, and I provided worksheets for guided practice . Students themselves came up with ideas for modifications. Over the course of the following two weeks, students could choose when to take a quiz formatted similarly to the diagnostic, though, of course, using different pesukim. This time, the grade did enter their gradebook; however, students were permitted to retake the quiz as many times as desired until they achieved mastery over these skills. I envision this as a year-long process. In the month this project has been running, we have completed four lab sessions. All students have already taken the diagnostic Skill #2 with most students ready to take the quiz for Skill #2. So far, students have shown modest but steady growth over the course of the lab sequence (diagnostic assessment, guided practice, quizzes, and quiz retakes). Students report enjoying the skills lab and feeling a sense of accomplishment and optimism. That is to say, it appears the Tanakh Mastery Skills Lab works. I believe that this year’s success is due to my failures last year and the reflection and revision that resulted from those failures. My project last year allowed for student choice in selecting his or her skill upon which to focus. Possibilities included identifying grammatical features, analyzing commentaries, perfecting liturgical recitation (leining) and several others, and individually, each student picked one of these to practice. While that independence initially excited the students, complete differentiation created impossible demands on me with regard to both preparation in advance of the lab and facilitation during the lab sessions themselves. This year, the focus is on personalization and individualized mastery. Consequently, I am able to spend more time creating valuable assignments for guided practice, provide more encouragement and oversight during the lab, and provide quicker feedback on assessments. This makes for a more dynamic and efficient system, not to mention a far more sustainable one. Last year, I attempted to encourage students to develop self-discipline through assessing their effort and investment, as determined by their attitude during the skills lab and as demonstrated in a weekly reflection log. 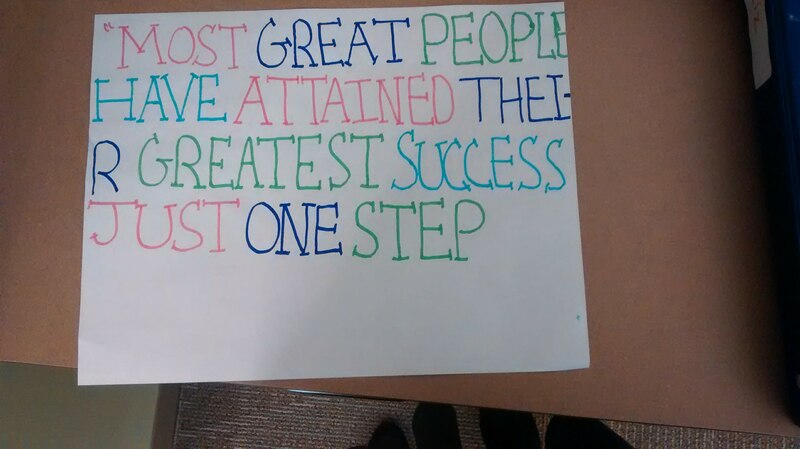 I was hoping to take advantage of the students’ natural drive for good grades; since this assessment of industriousness represented the grade for the week, I hypothesized that they would be motivated to show the necessary effort and develop a growth mindset. While that certainly proved true in many cases, I found that this unspecific assessment led to two related problems. It failed to provide me with a reliable measure of student growth and success, and it eventually contributed to a lack of responsibility on the part of the students. The latter issue proved to be the most troubling aspect of last year’s lab; the lack of any diagnostic or mastery component resulted in a program which did not provide enough incentive for growth. This year, the introduction of this mastery element means that I am able to objectively determine student progress. But more gratifying than that, because students know they will be quizzed, with the opportunity for retakes, they are owning their own growth, taking responsibility for, and pride in, the development of their Tanakh reading skills. These improvements have generated a program through which the primary goal of the skills lab–improving the students’ reading skills–can be successfully realized. Beyond that, though, this lab has several other advantages, further confirming my belief that it can be called a success to this point. The diagnostic assessment, guided practice, and quizzes work together to create a growth mindset. To cite an example, during the very first skills lab, when students were working on identifying the vav consecutive ( ו ההיפוך) one student, who had been very nervous during the diagnostic and asked me several times for promises that it would not be graded, exclaimed “I’m getting better!” Without prompting from me, my students are independently setting higher quiz grade goals for themselves, comforted by the knowledge that they can always study more and retake the quiz to demonstrate mastery. The guided practice content in the skills lab actively complements the rest of the Tanakh curriculum. I mentioned above that the lab runs in parallel to the regular curriculum, but I do not mean to imply it exists as a separate, unrelated entity. Consider, for example, the appearance of the interrogative prefix ( ה השאלה ) in the dramatic conversation between Hashem and Moshe in Numbers Chapter 11, במדבר פרק יא. The skills lab helped students recognize the usage, and during the class discussion in which they debated Moshe’s intentions according to the various commentaries, they felt confident looking back at the text itself to buttress their arguments. I was happy to see that they truly understood the pesukim and did not just memorize a translation, and I credit that to their experience in the skills lab. Implementation of the Tanakh Mastery Skills Lab proved to be smooth and painless. The organizational structure of the lab avoids over-complication without sacrificing nuance and the ideals of differentiation. One might be able to easily find workbooks and worksheets on Hebrew grammar and design quizzes for students, but without a set format for personalized mastery, those worksheets and quizzes quickly become rote busy work. The clear, organized structure of a diagnostic assessment, followed by guided practice, followed by quiz, followed by opportunities for retakes allows me to successfully manage the lab, while simultaneously providing clear tasks for both the students and myself. Like most of my colleagues, I imagine, I am somewhat wary of educational frameworks that demand a complete overhaul of my ten years of teaching. I am, however, quite comfortable with small alterations, especially when it seems like, in concert, they will yield positive results. After I developed the framework for the Tanakh Mastery Skills Lab, its actual application has been refreshingly simple, even as the results have been exciting. The integration of the weekly skills lab allows for a variety of classroom experiences and assessments. At Mizrachi, we are privileged to gain exposure to a wide range of educational theories and techniques without feeling that we must restrict ourselves to just one. I love using project based learning for some units and Ayeka-style discussions for others. I sometimes use the JTS Standards and Benchmarks approach, but apply it in a modified way to a test instead of a performance based assessment. My students appreciate this flexibility. Students excel when they participate in different kinds of assignments, but in order to track growth throughout the year, a variety of assessments can become a hindrance. By using some principles of mastery learning in this lab without shifting my entire classroom toward this somewhat controversial approach, I feel comfortable creating a richer and more diverse classroom experience knowing that I can still use one common language to track growth in acquiring skills. As should be evident, I feel excited and confident in the direction that this project is moving. I also recognize that it is still in its early stages and has much room for growth and improvement. Below, I have included a few reflections on how this program can be made even better. I did not begin with a general diagnostic that asked students to read and translate one long chunk of text, then break down the aggregate strengths and weaknesses. I intentionally delayed the start of the skills lab until after Succot to allow for the formation of a trusting relationship between myself and the students, and also, since I did not give a general diagnostic assessment to get a general sense of their skills. In hindsight, I now believe it would have paid to start with a general diagnostic and given students that information. I plan on cumulative skills check- ins but I’m still experimenting with the structure and timing of that implementation. I chose the specific selection of skills with which we began because they could seamlessly connect to the unit we were studying at the time, while also emphasizing some of the most important building blocks of biblical Hebrew. In the context of studying vav consecutive ( ו ההיפוך), I realized that the students might have benefited from a basic review of the tenses beforehand. We covered that while working on ו ההיפוך, but I wonder if it would have been better to set identification of the tenses as a unique skill as part of the lab. Additionally, while I am proficient with the important elements of biblical Hebrew grammar (I also consulted a textbook), this project would benefit tremendously from the input of an expert. The logistics of the lab could stand to be improved. 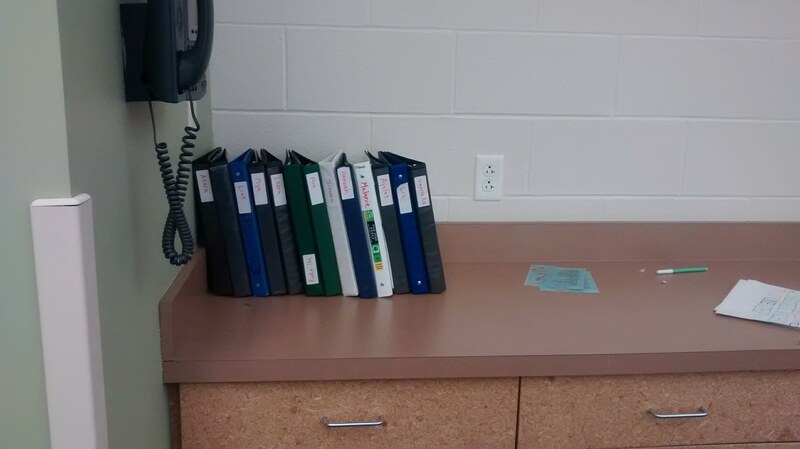 At first, I had students keep all their documents in a folder which they could take with them after each session. After a few weeks, I realized the lab would run more smoothly if everything remained in a central location, so I gave each student a binder which stays in the classroom. I had them write a personal affirmation statement explaining the importance of improving Tanakh skills, and they used their statements as covers for the binders. Instead of handing back papers to the students, I place them in their binders before class. The low tech nature of this system bears some inconveniences, but, happily, platforms like Summit are geared toward this type of mastery learning, so there would be no need to reinvent the wheel if I decide to shift to a digital system. Of course, moving to a computer-based format possesses its own potential drawbacks, as it requires the students use laptops, tablets, chromebooks, etc., which is always a calculated risk. I am wary of introducing technology because of the distractions it created during last year’s Tanakh Skills Lab, but I am open to experimenting again if clearer structures are put into place. My bank of activities for guided practice is growing, but it is not quite as robust as I would like. Through developing my own ideas, and through speaking to more and more teachers from many different schools, I am increasing the selection of guided practices. With a larger variety of these practices, I will be able to differentiate the lab even more without giving up on the simplicity of implementation or the demand for mastery. The instructions on the earlier worksheets and quizzes were somewhat unclear. As I’ve become more comfortable with this project I am happy to report that the instructions are becoming clearer and students feel more comfortable with the assignment and need me less and less for clarification of instructions. Creating lasting change necessitates departmental or grade level shifts. Especially given the small size of the Fuchs Mizrachi Stark High School, I cannot operate on an island. Long term success for this project, meaning success stretching beyond one semester or year, demands that this become a shared language and initiative for the entire high school. To that end, I have presented the Tanakh Mastery Skills Lab to my colleagues both formally in department meetings and in informal discussions. I have received truly enthusiastic feedback, giving me hope that the success I have seen to this point can indeed be sustained over a much longer period of time. Adina Blaustein grew up in Brooklyn, NY. She has a master's degree in education from Brooklyn College and a master's degree in Bible from Yeshiva University. Adina currently teaches Tanakh and Jewish History at the Fuchs Mizrachi Stark High School.